3 Bdrm Terraced Dwellhouse. Ground flr: V/bule. Reception hall. Cloakrm with wc. Lounge. Dining rm/Family rm on open plan. Dining kitch. 1st flr: 3 Bdrms. Bathrm (CT band - TBC). Garden. Garage. 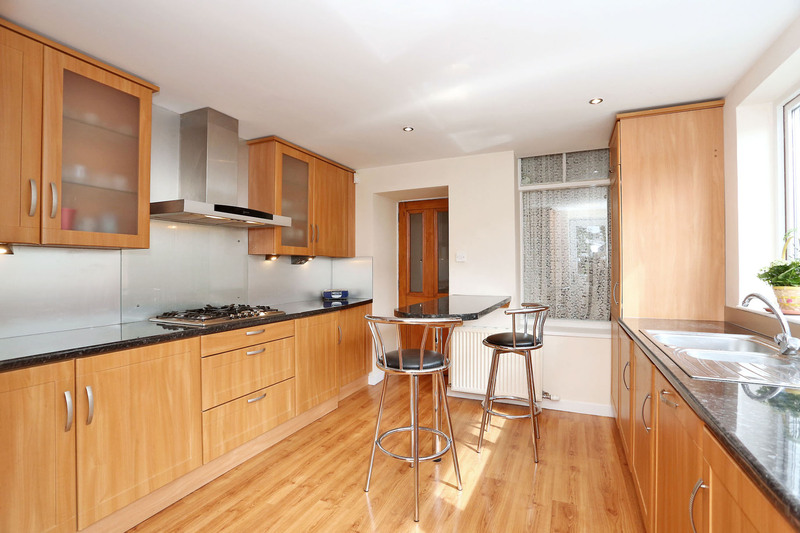 Price over £395,000 Entry by arr. Viewing 07864 535698. (EPC band - C). 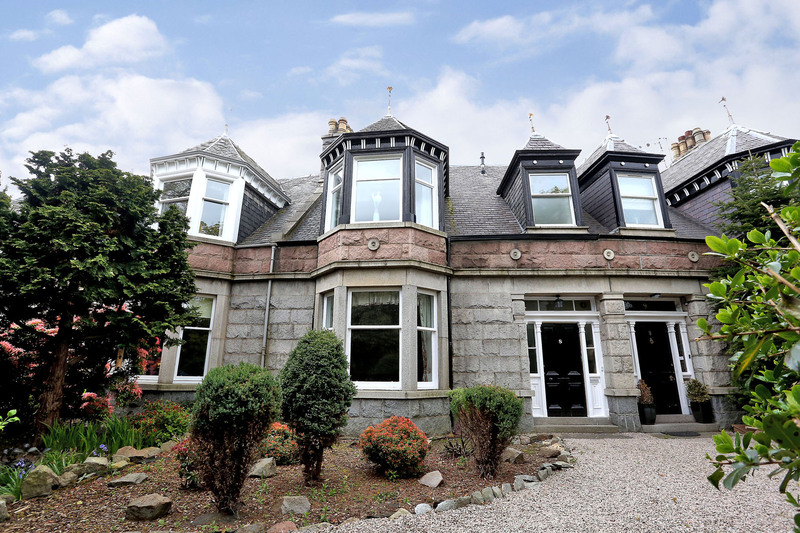 This is a rare opportunity to acquire a traditional granite mid terraced dwellinghouse which forms part of a unique and individual development set within mature landscaped grounds. 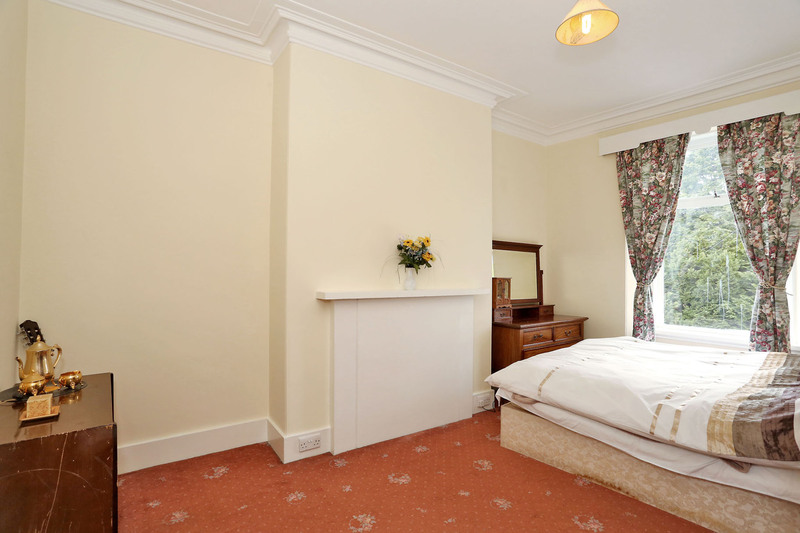 The property has retained many fine period features such as original marble fireplace mantle pieces, high corniced ceilings with ceiling roses and picture rails, deep moulded skirtings and panelled doors. An extension to the rear has provided a large dining kitchen with access to the garden. 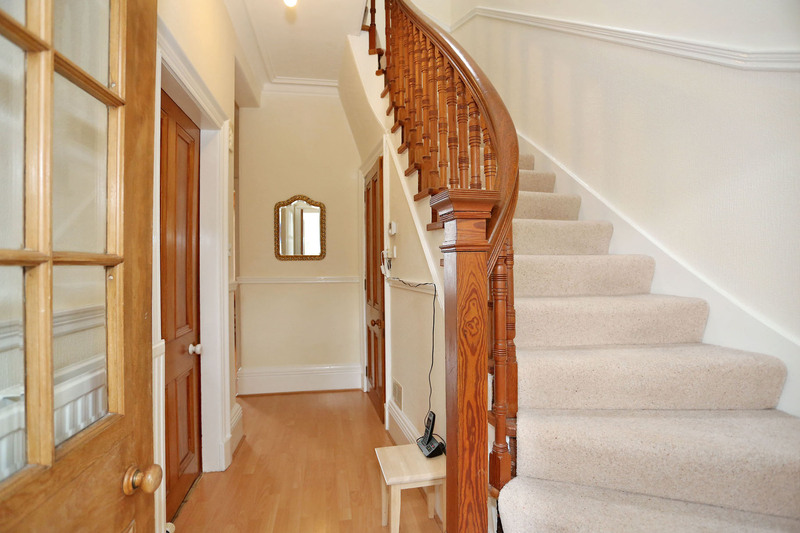 The entrance vestibule has original tiled flooring and a glazed door leading to the reception hall which has a staircase leading to the upper floor. Located off the hall is a useful cloakroom with wc and wash hand basin. 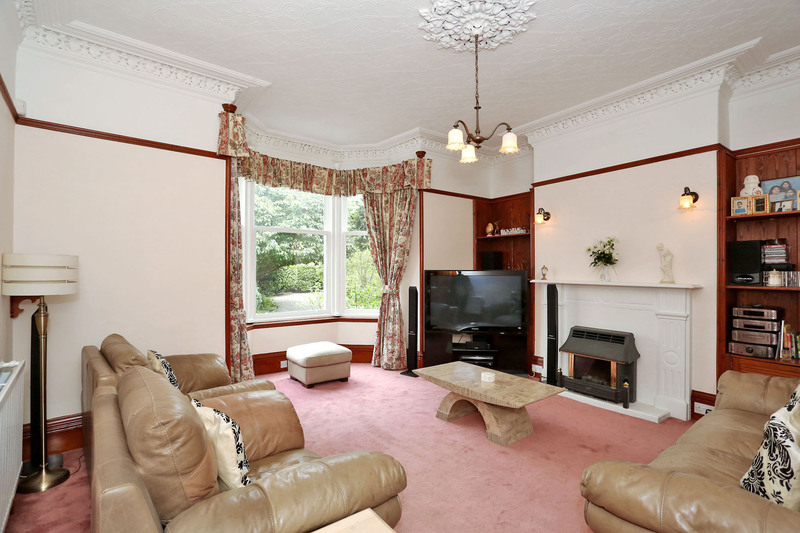 The lounge is a most attractive room with front aspect, bay window and feature slate fireplace. 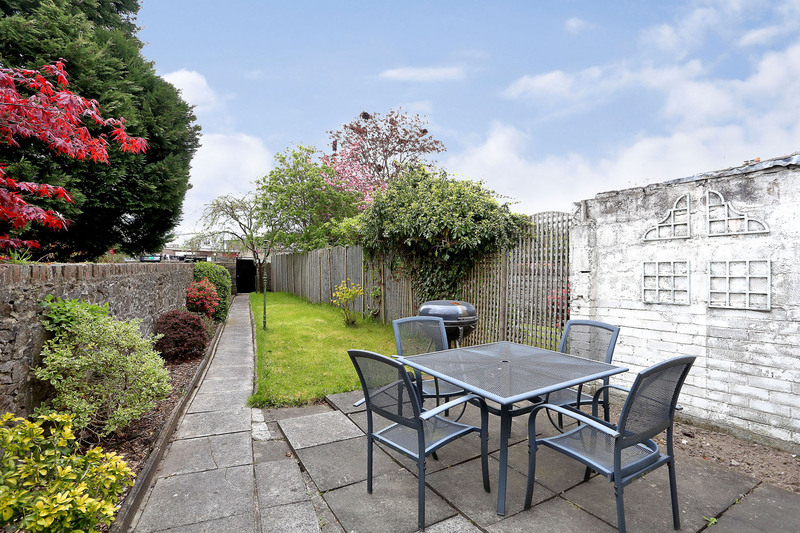 Enjoying a quiet aspect to the rear, the open plan family/dining room has a marble fireplace, laminate flooring, neutral decor and a glazed door giving access to the garden. A door in the dining area leads to the luxurious dining kitchen which is fitted with an extensive range of stylish units with co-ordinating worktops, breakfast bar and integrated appliances. The upper hall has a concealed timber ladder leading to the floored loft which has two skylight windows and a stained glass cupola over the stairwell. 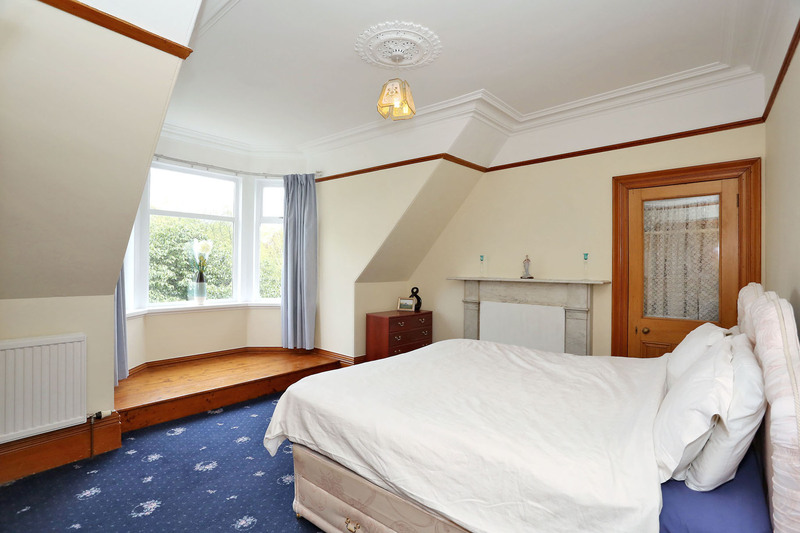 The master bedroom has a bay window and lovely outlook over Westburn Park. There is a white marble fire surround and shallow shelved cupboard with partly glazed door. 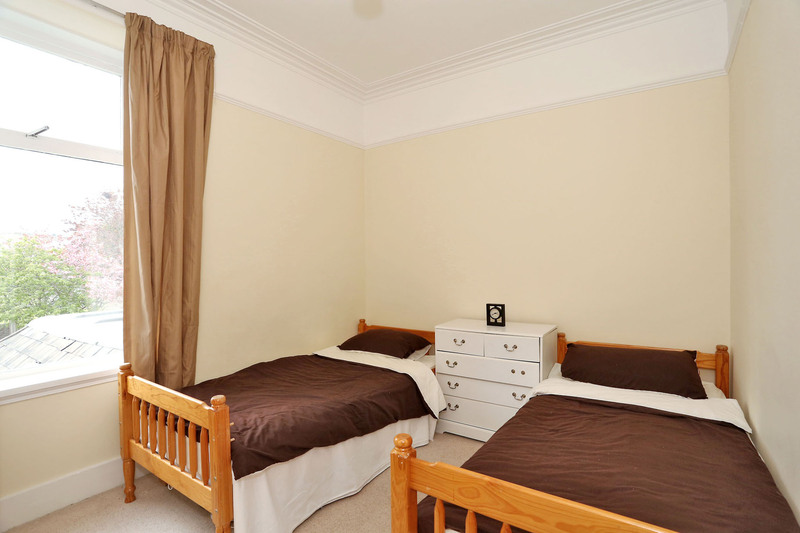 There are two further double bedrooms, both overlooking the rear garden. 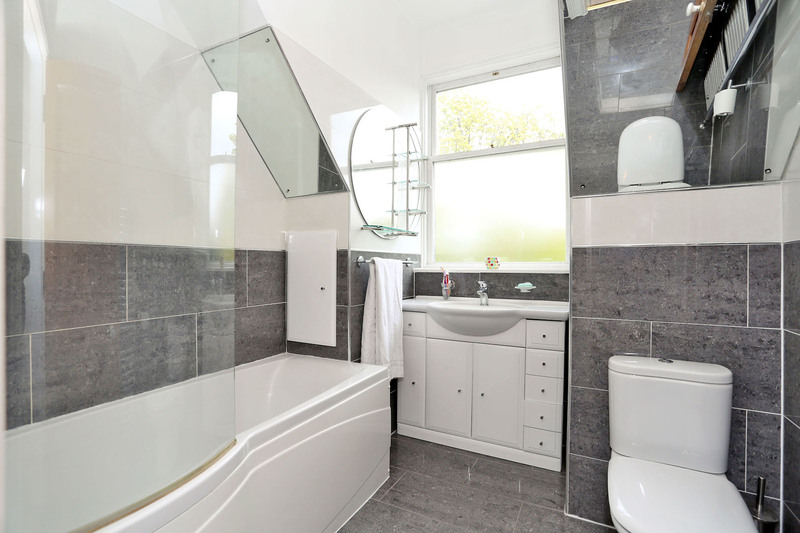 Completing the layout is the modern bathroom which has been fitted with a high quality suite comprising shower bath, wc and wash hand basin set into vanity unit. It is fully tiled, has under floor heating and has an opaque window to the front. This property is ideally suited for those looking for a three bedroom traditional home within easy reach of the Foresterhill Hospital complex and internal inspection is recommended to fully appreciate the many fine features on offer. 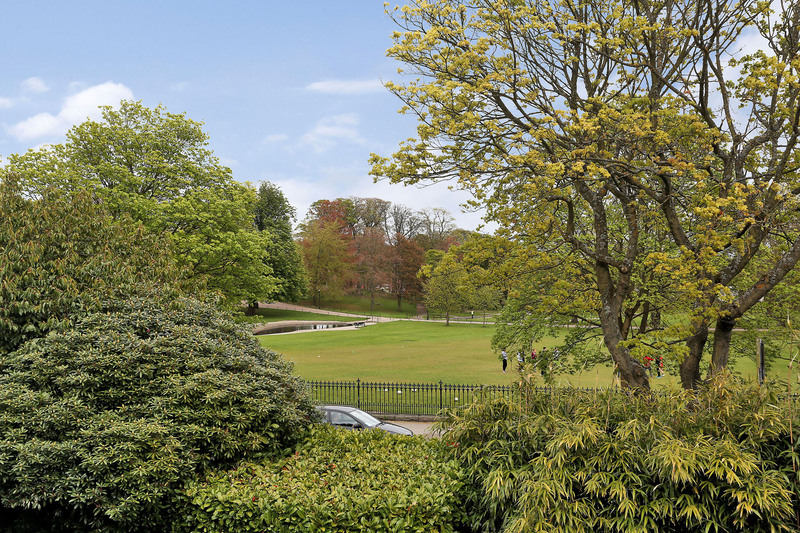 Location Argyll Crescent is a concaved crescent of terraced granite villas, opposite Westburn Park and within easy reach of the city centre, the health campus at Foresterhill and Woodhill House. The business sites across the city and suburbs are easily accessible, so too the airport. There are convenience and specialist shops on Rosemount Place and a regular bus service to the city centre and beyond. 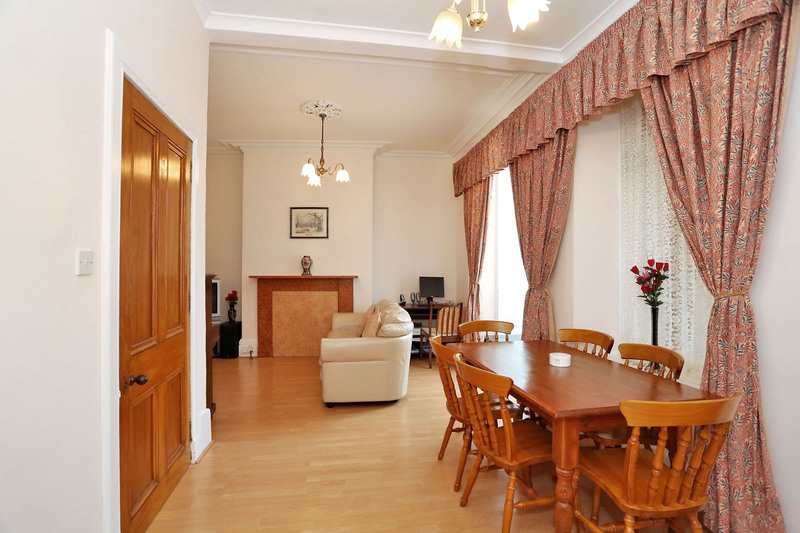 Mile End Primary School and Aberdeen Grammar School are within walking distance. Directions From Union Street, turn on to Union Terrace, turn left on to Rosemount Viaduct, continue on to South Mount Street and turn left on to Rosemount Place. At the second set of major traffic lights turn right on to Argyll Place, cross over at the next traffic lights and Argyll Crescent is on the left hand side, opposite Westburn Park. Garden The established grounds to the front of the property are shared by the residents of the crescent and provide a high degree of privacy and shelter from the road. There are mature trees, hedging, shrubs and gravel pathways, maintained by a gardener. Each house also has a small section of garden in front of their property which is maintained exclusively by them. 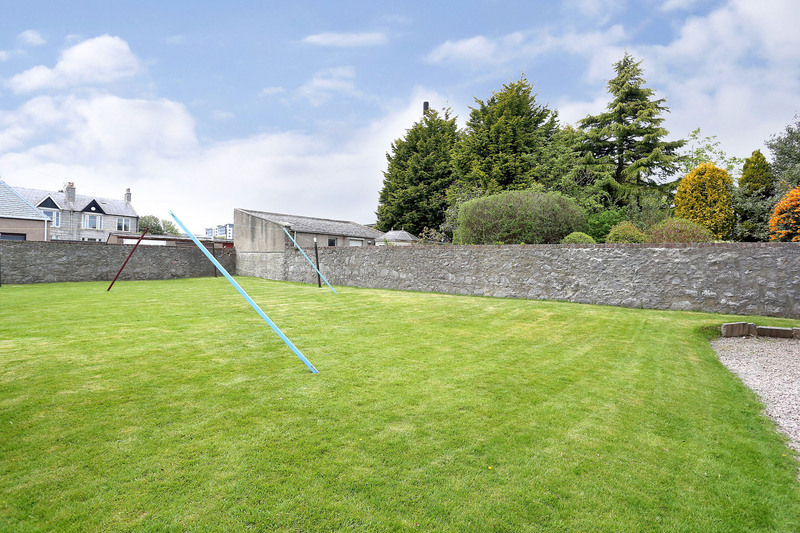 The property has a private garden to the rear with a paved patio, lawn and borders stocked with a range of mature shrubs, plants and spring bulbs. A gate at the end of the garden gives access to the communal drying green shared by all residents in the crescent. A gate at the end of the drying green gives access to a rear lane leading to Westburn Road. Parking There are parking meters in the area. Parking permits are available from the City Council for an annual fee. The property also has a large lock up garage located off the rear lane. Fixtures and Fittings All carpets, curtains and light fittings included. Oven, hob, microwave, integral fridge freezer, dishwasher and washing machine included. Services The property has full gas fired central heating with newly fitted boiler, double glazing and a security alarm. Under floor heating in bathroom.